Olive Oil Helps Prevent Aging Skin. You probably know olive oil can be good for your health — and good for your pasta — but olive oil may also be good for your skin. This is especially true if you have extremely dry skin or are allergic to topical creams and lotions. While it may have gotten somewhat of a bad reputation for not being the best for your waistline, and it has been known to be a little greasy and pore clogging, it certainly has some anti-aging benefits that can’t be ignored. Olive oil could be the next most amazing thing for your skin, and it’s been sitting in your pantry the whole time. 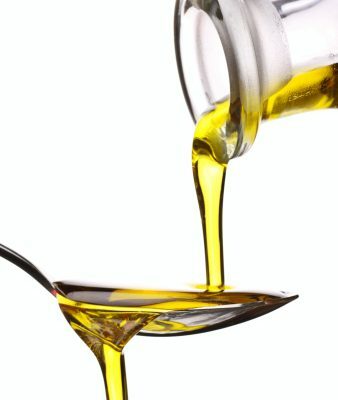 Traditionally olive oil is used for very dry skin. The moisturizing properties of an oil are very thick, and some experts recommend against using it for severely dry sky skin, or skin that is sensitive because it can clog pores. However, one thing to keep in mind is that a little goes a long way. If you decide that olive oil might be a route you want to take, a few drops in some hypoallergenic cream or lotion, or some splashed into a full bathtub of water, could be more than enough for your skin to receive the anti-aging, or skin renewal benefits of the olive oil. Another factor that many people want to consider moreover the texture, is the scent. If smelling like an olive isn’t really your thing, you could also benefit from the idea that a few drops goes a long way. Or mixing it with something with a scent that is still light, but strong enough to mask the olive smell that the oil produces. What Real Aging Benefits Does Olive Oil Have for Your Skin? The use of extra-virgin olive oil after exposure to UVB light reduced the number of tumors the mice developed in one study. This is huge news if you translate that information to be used on humans. The simple fact that the oil has the ability to protect against exposure to the sun, or other environmental problems is pretty good news if you’ve noticed that your skin is looking a little bit weathered. Experts in skin care all agree on one very common point, that is that there is one area of your skin that tends to look older, and give away your age. That area isn’t your face, as a matter of fact it’s your hands. So how can you incorporate the amazing anti-aging pro-healthy skin benefits of this magical oil to your hands in order to trick the clock, and your friends into thinking they are viewing a much younger version of you? One trick is to slather your hands in olive oil before bed, and put on a pair of soft hypoallergenic gloves and then simply forget about them while you catch a nap or a full night of sleep. The extra hydration in such an untouched environment is second to none, and the anti-aging benefits will happen before you know it. You will wake up rested, more hydrated, and not have the greasy hassle or mess of an awake treatment, not to mention the smell. Related Reading: Mushrooms: Magical youth elixir?